Deborah is trained by Dr. Eric Pearl and his staff for levels I and II completed in Philadelphia, Pennsylvania in September 2009. She subsequently completed level III training in Chicago, Illinois in October 2010, and level II Foundational Practitioner training in September 2015 in Los Angeles, California. What began as curiosity soon became passion when the Reconnective Healing ® energy was activated in Deborah during the reading of Dr. Eric Pearl's book "The Reconnection, Heal Others, Heal Yourself". She reports, "half way through the reading of the book, my hands unexpectedly began to literally vibrate! It was not just a tingle, it was quite extraordinary and surprising! I also experienced a feeling of wind passing over the palms of my hands, and I was indoors with no fans running. I could feel what I can only describe as a reflection of movement in each hand from the energy of the other!" "At first I thought I was having a circulation problem, but as I continued to read, Dr. Pearl explained how this energy, only recently available to our planet Earth, becomes spontaneously activated in those who are ready to receive it. How could I not use it to the best of my ability to help others? It seems wrong to keep something this wonderful to yourself! I see this as a duty owed for a gift and priviledge given to us by God." 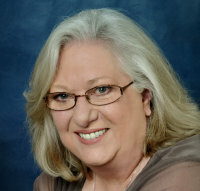 Deborah has always had a proclivity for helping others; as a seminar leader, she taught hundreds of people to quit smoking with the In Control and Living Free smoking cessation programs in Honolulu Hawaii from 1982 to 1984 (her home at the time), and then at Our Lady of Peace Hospital in Louisville Ky from 1986 through 1988. Reconnective Healing ® was a natural and welcome transition for her.